By connecting every aspect of their business, financial services will be able to remain competitive going forward. Neo4j’s Emil Eifrem believes that understanding connected relationships in data will be paramount for financial services to retain a competitive edge going forward. The world’s leading financial firms are looking to connect everything – from their infrastructure to their supply chain to get an overall picture of their ecosystem – and now it is the turn of big data. The golden opportunity in connecting information is not the connections themselves, but the value they can create by making this data work for its owner. This is where graph technology comes in. Graphs differ from traditional relational databases in that they specialise in identifying and exhibiting the relationships between a large number of data points, enabling organisations to better read and understand their data. Graph software is one of the tools behind the success of Internet giants such as Google and LinkedIn that have now become household names. Google, for example, has built much of its capabilities on rapidly exploiting connections in Web documents, advancing and speeding up the relevance of searches. The power of graph technology has now been spotted and is being exploited by the wider business community, including the finance sector. With graph databases, you aren’t constricted by semantically-limited data models and costly, unpredictable ways of running queries through join-ups in the relational space. Graph databases support many named, directed relationships between entities (or nodes) that provide a far richer semantic context. This means that features of the ecosystem being modelled can be outlined in much greater detail. In addition, graphs are incredibly fast at creating these patterns. Graphs are showing their? muscle in differing areas of retail recommendations, chatbots and machine learning. But the technology has also attracted interest from the financial sector who are using to for everything from data driven customer engagement to pin-pointing financial crimes, compliance and as a way of shoring up cyber defences. With graphs, financial services companies are now able to join the dots and read relationships in their data that they were previously unable to do. Financial assets, for example, are complex and interdependent systems. Via graph technology financial services firms can get an overall and trackable understanding of the relationships between all of their critical assets. Financial firms are also turning to asset graphs to work out derivatives pricing in real time, where the pricing formula needs to incorporate interdependencies between items and accurately spotlight the risk and reward ratios. Regulatory compliance is also a fit for graphs in financial services firms, providing a deep dive into data, information and process flows. Here organisations find that data is often copied across different systems in its infrastructure. Graph software is an invaluable aid here as it can efficiently model data lineage and data flows to provide a complete understanding of siloed data and systems throughout the organisation. As well as being incredibly useful for regulatory compliance work, it can also help accelerate any projects that may be reliant on this data. In today’s digital age, financial services firms also run up against major barriers in identifying and stopping online fraudulent activity. Traditional anti-fraud solutions, such as those that raise the red flag if a customer’s normal purchasing patterns are deviated from, depend on discrete data. This works in tracking down individual criminals, but it doesn’t keep pace in detecting sophisticated fraud rings. Cybercriminals are continually playing cat and mouse with finance firms, continually looking for new ways to avoid being detected. Cybercriminals, for example, may steal several identities and mix them up to form one ‘new’ synthetic identity to open bank accounts, apply for loans and credit cards for example. Traditional fraud detection systems would not be able to detect these. The answer is a solution to spot activities that at first sight may appear unrelated – but are actually connected. Real-time graph traversals linked to the right type of events can help financial services firms to determine such multifaceted fraud rings during or even after fraudulent transactions happen. Another major hurdle for financial services firms is money laundering. Financial organisations need to know where funds are coming in from and where they are going. But criminals are very clever at using misdirection to make it very difficult to follow funds from their start to end point. Time-honoured anti-money laundering solutions have not been developed to link the dots between the many steps criminals may take and require a large amount of manual effort, making them incredibly time consuming. With graphs, however, anti-money laundering teams at financial services firms can model companies, accounts and transactions much more efficiently to spot possible money laundering. There are also internal uses for graph databases. Financial services firms are also using graph databases internally to help run their own environments. This is being done by so-called ‘graphing’ their data centres, networks and other IT sytems, creating graph maps of their topologies to optimise processes. Use cases number using graphs to help with dependency management, impact analysis, network management, downtime reduction, root-cause analysis and routing to quality-of-service mapping. Increasingly, many bank DevOp teams maintain that because of the growing complexity and interrelated nature of their IT infrastructure, only a graph database can properly map and query all of the data they are required to model today. Take a typical Tier One bank, for example. It will have an enormous infrastructure of Linux, Windows and other servers, not to mention desktop computers. All connected via a mesh of physical and virtual networks and subnets and all exposed to risk. Here again is where graph comes into its own. A graph data model can identify single points of failure within a network before the vulnerability is known to cyber attackers, while real-time, connected data queries can notify internal security experts if typical attack patterns are occurring within a given network, even if individual data points don’t appear to be malevolent. Finally, we are all aware that the digital world has increased customer expectations and established customer service as a key differentiator. It is therefore little surprise that powerful, real-time banking and insurance product and service recommendations engines have become central to both a streamlined user experience and business success. For these strategies to work, financial services firms need a complete 360-degree view of customer data that is easily understandable. This has been made impossible by siloed data that sits in many financial services firms. 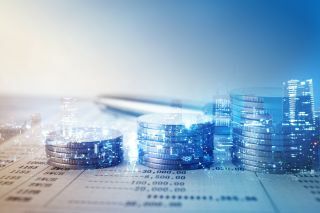 But the power of connected data in the form of data relationships is opening up new opportunities for financial services firms, enabling them to retain and improve their competitive edge. Despite the number of challenges faced by the financial services industry and the fact they touch different parts of the organisation, these hurdles all share an underlying commonality – the need to understand connected data relationships. Graphs are providing these dynamic new insights that are giving financial services firms greater agility in today’s hyper-connected world.